The Complete Daily Curriculum for Early Childhood: A comprehensive and inclusive early childhood curriculum. Frog Street Press: Systematically develops beginning reading and writing skills through multisensory activities & classroom instruction. 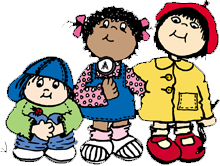 A to Z Individualized Leveled Reading Program: Children learn foundational skills to become proficient readers. Alphabet Books: Help build skills in letter naming, recognition and formation. Phonics: Helps children work with the sounds the letters make as a key note in the foundation of reading. High Frequency Word Recognition: Children will read a collection of High Frequency Words by sight. The director, Diane Ellis, has 21 years experience as a school director and has been an active member of the National Charity League in Colleyville, Texas for 13 years. She has a Bachelor of Science Degree in Elementary Education and a Masters of Science Degree in Reading from Southern Connecticut State University. My two boys enjoy seeing their friends and love their teachers. The oldest has improved weekly with reading and writing. As a teacher I wanted a student-centered program with individualized instruction at an age appropriate level. I couldn't be happier with Colleyville Christian School. Very loving environment. My kids loved going there. I highly recommend it! I have children in the Colleyville Christian School who love attending. The crafts are incredible and the youngest loves to sing the songs from Chapel.